Located in the Sutherland Shire is the amazing suburb known as Jannali. Presenting a village like atmosphere and plenty of amenities. There is no wonder that Jannali is becoming a popular suburb for Home Owners and Investors alike, who are trying to get into the Sutherland Shire Real Estate Market. 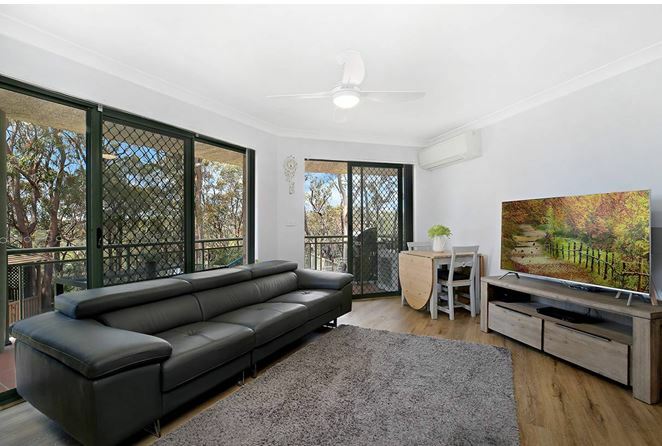 And having sold and managed many properties in Jannali over the past years, Hill & Viteri Property know the local area better than most agencies. And we understand how to best build value for your home. Even if that is through our knowledge & advice or leveraging off the local market. Our job is to make sure you get the best results. So whether you have an investment property or are looking to sell? Get in touch with our Agents, and let us show you how to add more value to your real estate asset(s). Call us now on (02) 9545-2220 or simply fill our our contact form, and we will get back to you at a more suitable time. Breathing in the crisp Jannali air and sipping on a freshly brewed Latte. You can find yourself laid back and enjoying the village like atmosphere, that this great suburb offers. Boasting excellent restaurants and cafes, Jannali is clearly convenient for those couples or families who enjoy a local meal out. Other amenities and local services are available in Jannali, and you are only minutes drive from the major Shopping Centres and other infrastructure. Having a train station on the Sutherland & Eastern Suburbs line, Jannali is an ideal place to live for the busy and working professional. Jannali Station to Central Station takes roughly 35 minutes, and it is only one train to catch. So there is no need to be jumping platforms, or taking additional modes of transport like buses. There is a community appeal and a safe neighbourhood atmosphere that locals of Jannali share with each other. Some of the best local schools are located here in Jannali. And with plenty of sports and activities in and around The Shire, there is much to enjoy for you and your family. Easy to get to from the CBD by train, but perfectly positioned for The Shire lifestyle. Jannali is close to National Parklands where you can enjoy hobbies like bushwalking and rock climbing. Or if you are one that gets into the fishing or water sports. Jannali is only moments from some of the best water ways off St Georges River. Still reading on and want to find out more about the real estate market in Jannali? Are you looking to sell or invest in this fantastic suburb? Or are you jumping online and searching term like “agencies near me” or “Jannali Real Estate Agents”? Then we urge you to stop what you are doing and give us a call now on (02) 9545-2220. Not the best time to talk? Simply fill out our contact form here and we will get back to you later. Hill & Viteri Property “Helping People Through Real Estate”. Come and speak to us and let us show you how to become successful through the property market.